Biotechnology (biotech) is the industry that develops new medical devices and treatments to fight diseases such as diabetes, Alzheimer’s, and heart disease. The promise of biotechnology is to help us live longer, healthier lives. Biotech also is an economic engine. The biotech industry creates jobs that offer the full spectrum of opportunity – from scientific positions to trained technical jobs, to business and administrative support roles. California already has two major biotech hubs – in San Diego and San Francisco. Los Angeles has been left behind. Now is the time to change that. 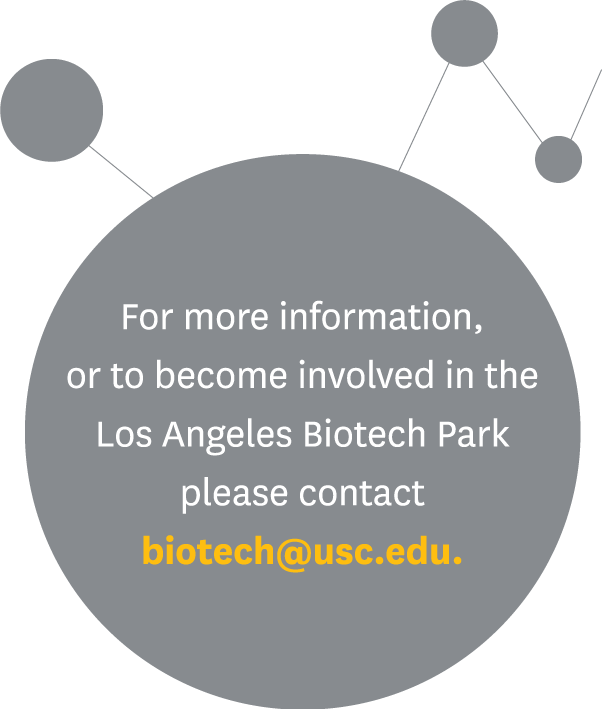 Our vision is to create a Biotech Park where industry and colleges come together to spur the economy in Los Angeles County as well as to advance public health. The Biotech Park will be a place that supports job creation, provides space for start-up companies as well as established companies, and create educational and training opportunities for local residents. From left, Qi-Long Ying, Min Zhou, and Ying Lab postdoc Shi (Steve) Yue.